Watercolour study in green by cubist Paul Klee. 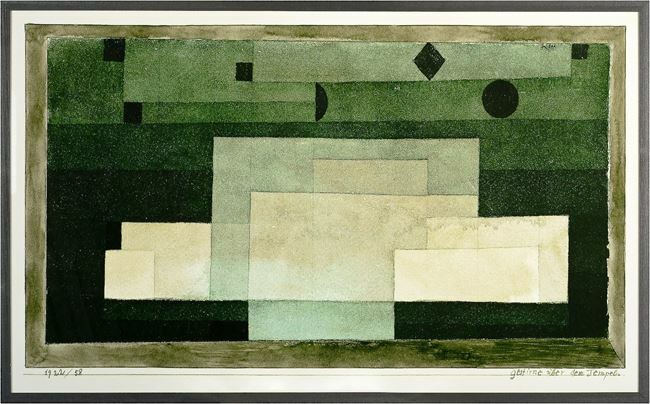 Paul Klee was a master of the cubist and expressionist style of the 20th century inter-war period. This watercolour study of saturated green will fit right in to the current trend of deep greens of any contemporay space.